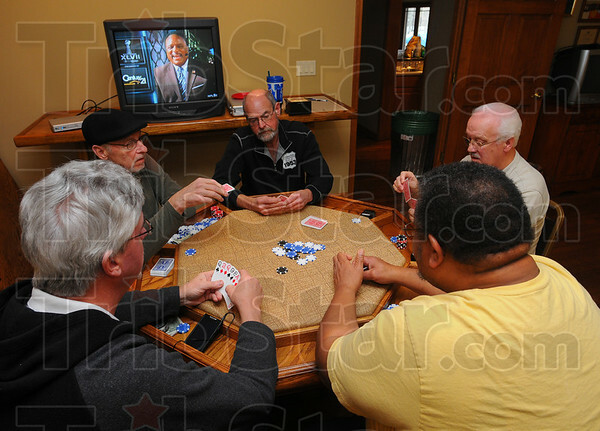 Waiting game: Poker is the name of the game while waiting for The Game to start. Here long-time friends Jim Stanfill, Bob Poynter, Tom Peter, Darwin Bookout and R.C. Fears match wits.